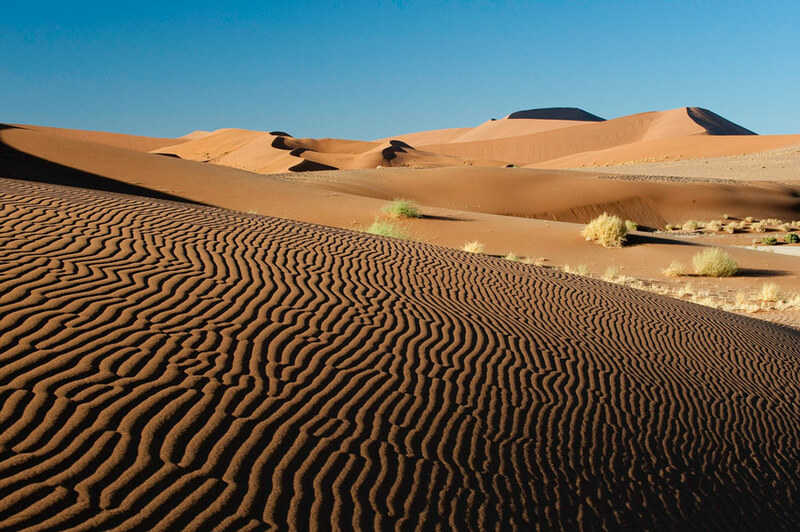 Home to the oldest desert in the world, Namibia is distinguished by its astonishing landscapes, wide open spaces and limitless blue skies. 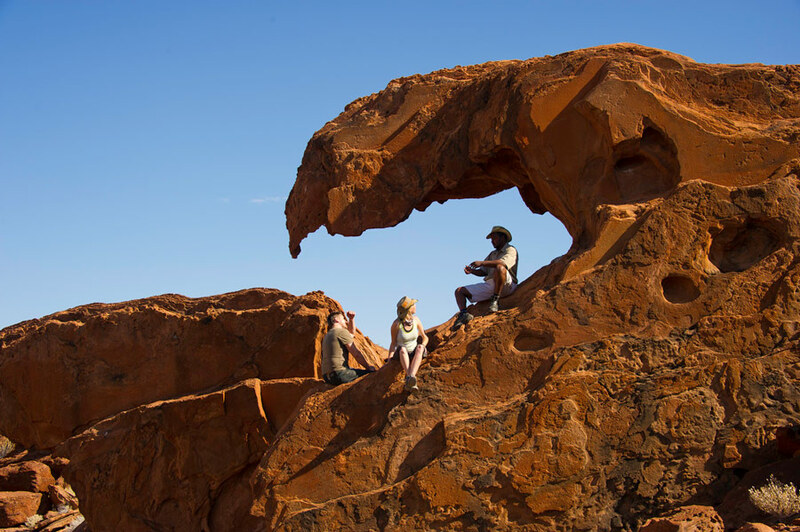 A feast of dramatic and beautiful vistas will keep the most ardent photographer occupied for hours. 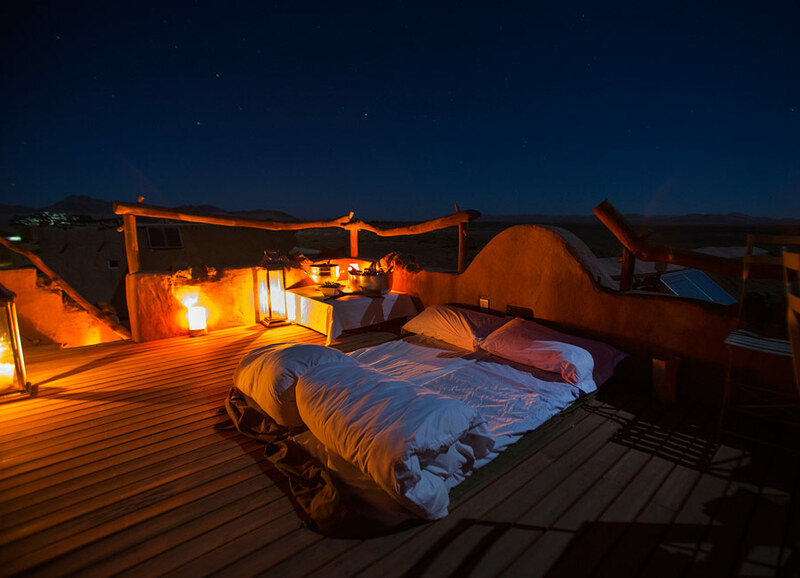 Vast in area but sparsely populated, it is also a haven of peace and seclusion for those seeking something away from the madding crowd. 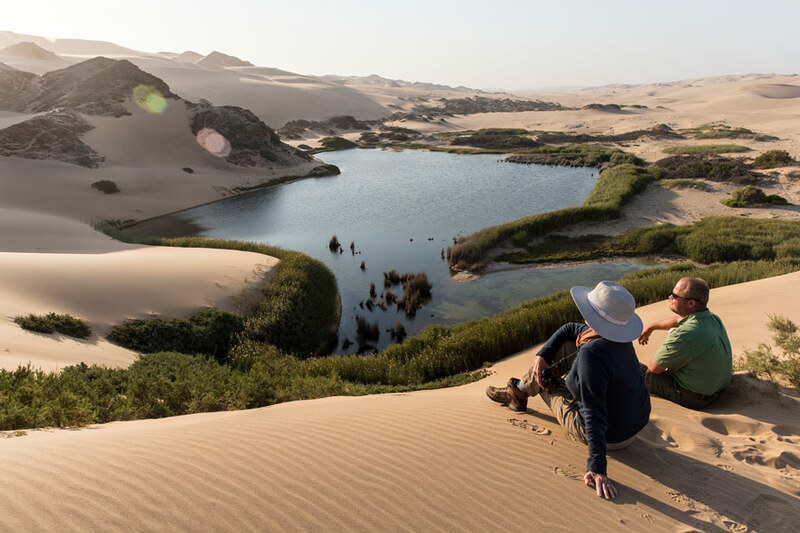 Namibia is a destination for those seasoned African safari-goers who are usually returning for their 2nd or 3rd time, looking for something different in their travel experience. Fortunately, a good road network facilitates easy access to many of these hidden scenic treasures. 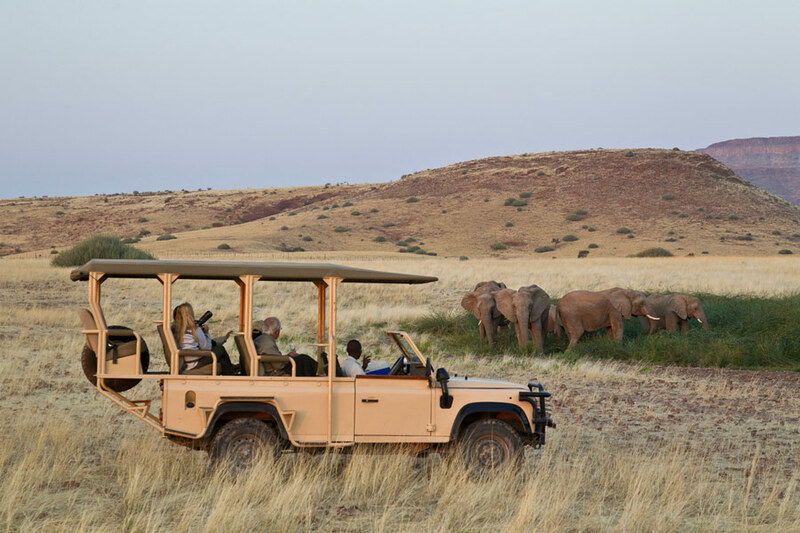 And it is not just about the dramatic vistas – there are also many interesting game-viewing opportunities for wildlife enthusiasts. 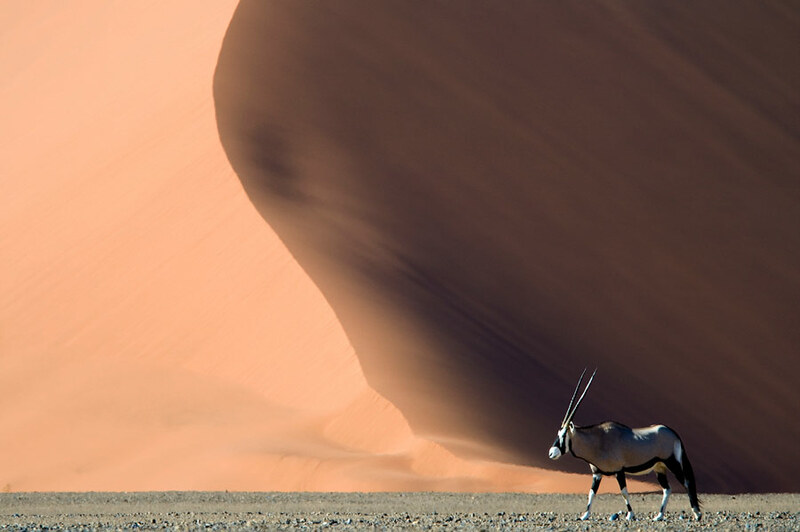 The Namib Desert is a fascinating area with the distinctive red sand dunes of Sossusvlei, and the Namib-Naukluft National Park, offering rare, interesting plants and animals that have adapted to desert life. 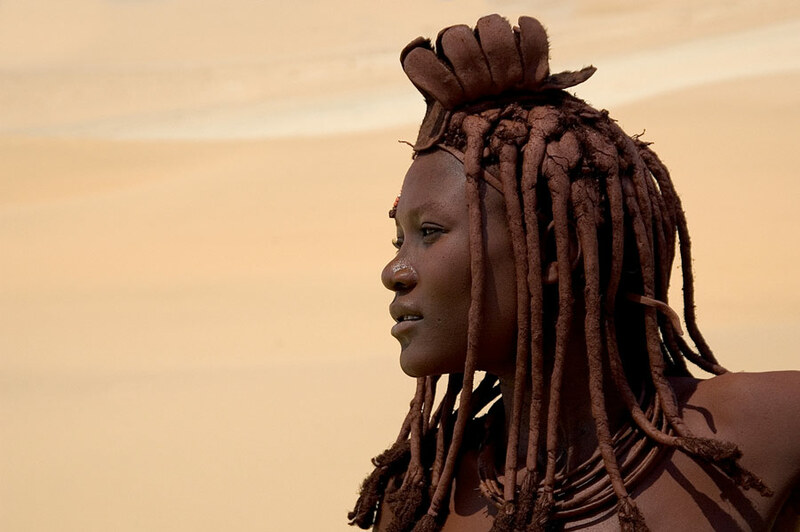 The Skeleton Coast is so named from the slew of shipwrecks and whale bones scattered across this dramatic, often fog-bound, stretch of rugged coastline. 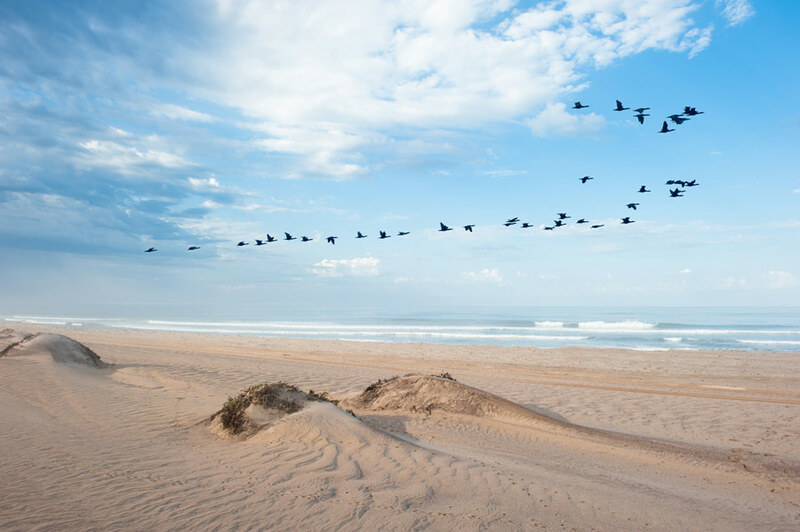 It is where coast and desert meet. Swakopmund is the main town of interest, but the haunting ghost town of Kolmanskop is not to be missed. 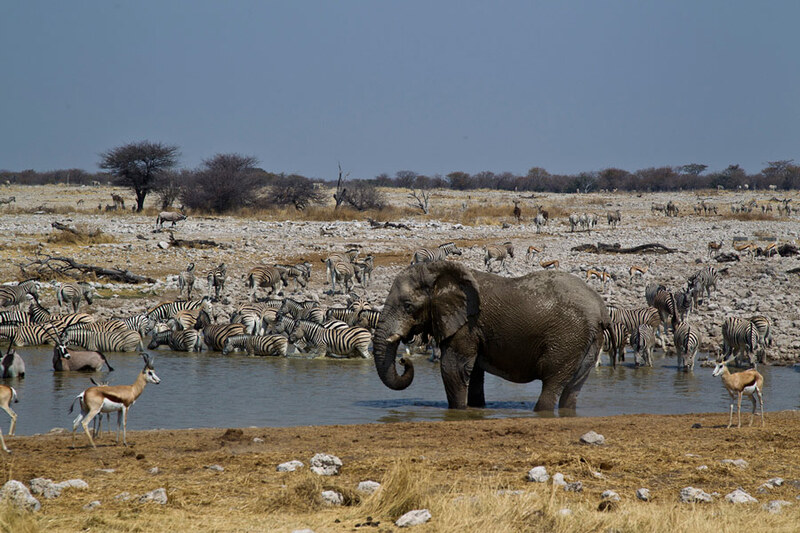 Etosha National Park was once a great inland sea, and is now a vast salt pan, known for its spectacular game viewing around the waterholes, particularly in the dry season when the animals move en-masse in search of water. 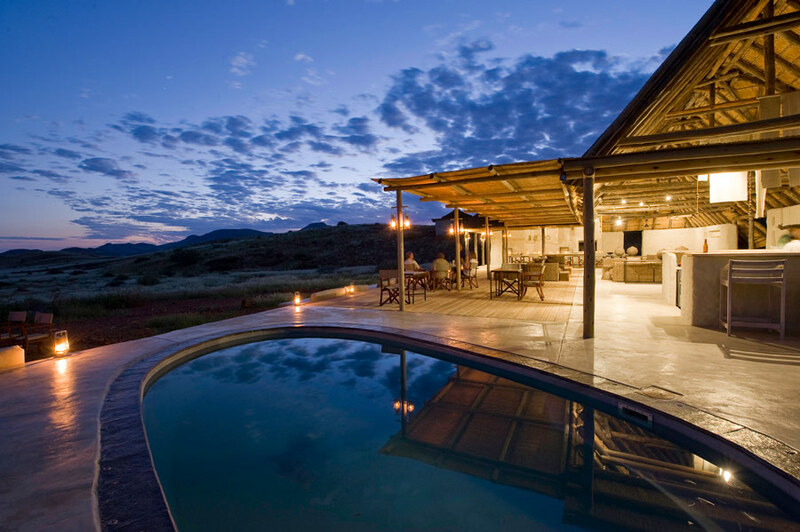 Damaraland, wild and largely uninhabited, is characterised by many dramatic geological features, ancient rock art, and interesting wildlife – notably the desert lion, desert elephant and Hartman’s Zebra – which have adapted to the harsh conditions here. 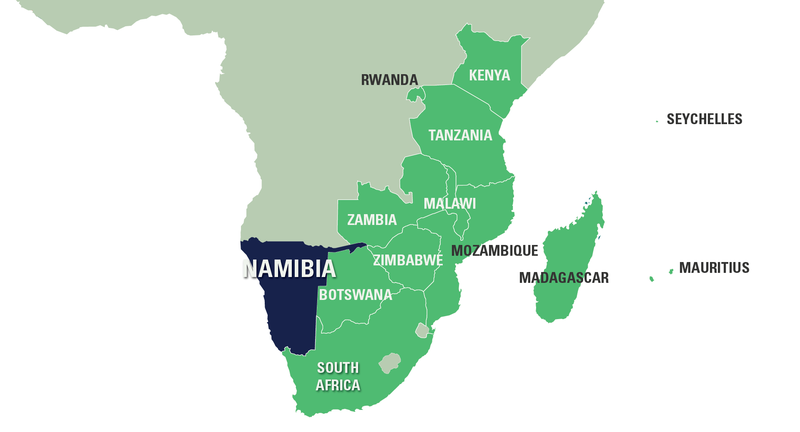 Language: English is the main language, but German and Afrikaans are also spoken. Health: It is a low-rainfall country so malaria is not a high risk, but please consult your doctor before you travel. Visas: Visas are not required for UK, USA, Australia and most of Europe. Please check with your local embassy as visa criteria does change regularly. When to go: Most of the year is suitable for travel but the best time is winter from April to end October when it’s a bit cooler. The summer months can be very hot and dry. The rains make an appearance in January and February.